Eboard Mail is an all new messaging platform that promises to be a safer and more secure alternative to email. Recent high profile email security breaches show us just how vulnerable we are to private or proprietary information being stolen or otherwise misused. Eboard Mail, the revolutionary new messaging platform that promises to be a safer and more secure alternative to email, is now live in beta. Eboard Mail is a web based private messaging platform that is a more secure communication solution than current email systems. It is being designed and run by Gabriel Evans a Systems Design and Engineer with over a decade of experience. During his time working for everything from small local businesses to multinational enterprises, Evans has seen firsthand the time, money and man hours spent on keeping users safe from phishing and malicious emails. Eboard Secure Mail eliminates spam and phishing attacks by utilizing an approval based contact and messaging system. It also employs an SMS notification system for contact requests and messaging events without revealing message contents to keep users’ communication safe and secure while allowing users the ability to know when new contact requests or new messages are sent their way. In the future an accompanying sandboxed app will handle notifications. Eboard Mail is easy to use as it utilizes a familiar, webmail-like interface. It contains all familiar features that current email has including, but not limited to, an inbox, outbox, sent items and contact management. Businesses can save millions of dollars in software and hardware support that normal email systems require to ensure safe messaging. Eboard Mail utilizes an Approval based Contact Management System which means users can only send and receive messages from users in their contact list. No more spam or phishing attacks from senders they don’t know. Messages also do not live on any mobile devices to reduce the need for Mobile Device Management solutions. The platform has been developed in cooperation with Beta Bulls, a premier development group that specializes in creating MVPs and betas. The firm has been crucial to the success in developing the Eboard Mail platform and provided guidance and assistance in both the technical and business aspects of creating the successful startup. 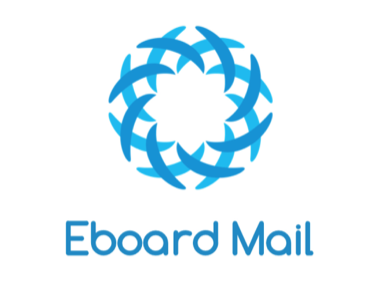 Eboard Mail is a company found in 2016 based in Houston TX. With over a decade of experience in systems design, engineering and security, Founder and CEO Gabriel Evans is on a mission to provide end users and businesses alike with a safe, secure and inexpensive solution to the current chaotic, dangerous and insecure email ecosystem. Working along with a team of developers, systems security and business experts we are working hard to make this solution a reality. Join us in the new world of safe and secure messaging that we all need.